Dr. Brent Vanhoozen is a pulmonologist from Roseville, California. He has an extensive medical experience of 29 years. Dr. Vanhoozen graduated in 1988 from the Rush Medical College. He completed a residency program at the Michigan State University Clinical Center and a fellowship training at the University of California-Davis. He is a board-certified specialist in Critical Care Medicine and Pulmonary Disease. 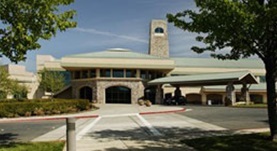 Dr. Vanhoozen is currently affiliated with the Sutter Roseville Medical Center.